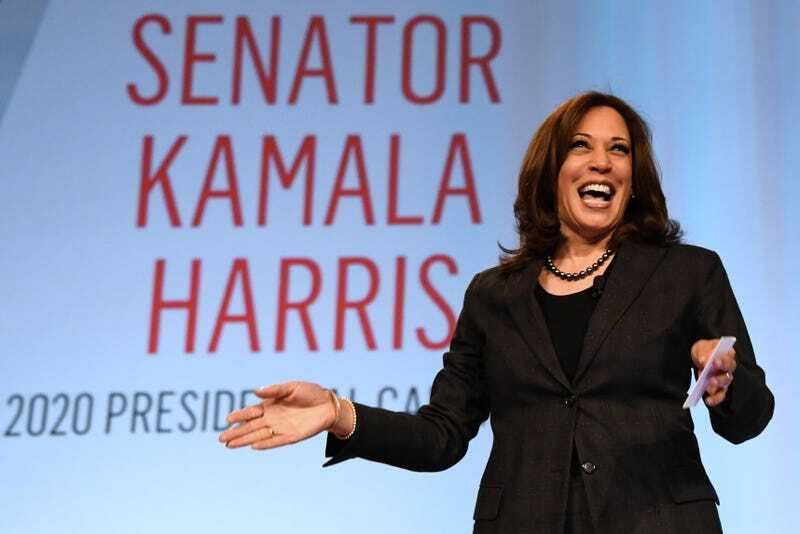 U.S. Sen. Kamala Harris (D-Calif.) is introduced at the ‘Conversations that Count’ event during the Black Enterprise Women of Power Summit at The Mirage Hotel & Casino on March 1, 2019 in Las Vegas, Nevada. Harris is campaigning for the 2020 Democratic nomination for president. The average teacher in America will receive a $13,500 raise. The Department of Education will work with state education agencies to set a base salary goal for beginning teachers in every state. States and school districts will increase every teacher’s salary until, at a minimum, that goal is met. Additionally, they’ll be required to use funds to increase teacher pay, not replace existing education funding. A raise of $13,500 is the equivalent to a 23 percent pay increase for the average teacher. The federal government will make an additional targeted investment beyond just “closing the gap” to pay teachers in America’s highest-need schools—which are disproportionately occupied by both teachers and students of color—more than other comparable professionals in their state. As a point of reference, nearly 45 percent of Black and Latinx students in America attend schools that will receive this supplementary investment. The federal government will make a multi-billion dollar investment in programs that help elevate the teaching profession and support principals and other school leaders. This includes high-quality teacher and principal residencies, early-career induction programs that pair new teachers with mentors and master teachers, career ladder models that allow for advancement opportunities for teacher leaders, and “Grow Your Own” programs that help increase teacher diversity. The federal government will provide a base level of funding to every state in the country, and then incentivize states to do their part to take full advantage of the plan. An immediate federal investment in every state will provide the first 10 percent of funding needed to close the teacher pay gap. Then, the federal government will incentivize state partnership: for every $1 a state contributes to increasing pay, the federal government will invest $3 until the teacher pay gap is entirely closed by the end of President Harris’ first term. To receive funding, states will be required to maintain their share of the investment over time.